At Elevated Dermatology, we provide comprehensive cosmetic dermatology care and focus specifically on correction with an emphasis on prevention and maintenance treatments. We want our patients to not only look younger and healthier, but to continue to look younger and healthier as we naturally age. Our cosmetic service offerings are broad and we will carefully select the best treatment to ensure the highest value for your aesthetic dollar. You can have confidence that all cosmetic treatments are performed by a board-certified dermatologist. We offer a limited line of high-quality sunblocks and skin care products that are both elegant and effective. A chemical protein complex produced by the bacterium Clostridium botulinum that is used cosmetically to diminish the appearance of wrinkles. We use both Botox and Dysport. Essentially it relaxes the contraction of muscles by blocking nerve impulses. Botox® and Dysport injections do not require anesthetic, and take just a few minutes to perform. Patients will begin to see the results within 48 hours, and full effect in about a week. Dermal fillers are used to smooth facial wrinkles and creases, plump lips, and enhance shallow contours. At, Elevated Dermatology we offer a variety popular fillers. Each patient’s needs are carefully assessed before every procedure. Based on each patient’s needs, a combination of fillers may be used to give the most natural results possible. Over time, your skin loses volume and lines, folds and wrinkles on the sides of the nose and mouth may deepen. Maintain a natural, more youthful look with dermal fillers. Elevated Dermatology can help you refresh your appearance through the elimination of lines and enhancement of facial contours. Different than neuromodulators like Botox, dermal fillers work by plumping lines on the face. Typically, dermal fillers are used on what are called the marionette lines, which run from the nose to the outer area of the mouth. Fillers may also be used to plump lips to a naturally full state. Kybella is a new and unique injectable product for reduction of “double chin” fat. When submental fat (underneath the chin) becomes excessive, it results in the appearance of a “double chin”. Many patients feel self-conscious about the fullness under their chin, especially the way it affects their profile. Kybella is an injectable solution administered by a trained physician through a needle into the fatty tissue under the chin. The solution works by destroying the fat cell membranes in the “double chin” area. In the FDA trial most patients required an average of 4 treatment sessions spaced 1 month apart. However, we know from our experience that some patients, particularly those with smaller areas of excess fat, may see improvement after 2 or 3 treatments. Patients usually have bruising and swelling around the injection sites. This usually resolves on its own with in a couple of days. Laser procedures work by precise heating of tissue that occurs when laser energy is absorbed within the skin. Each skin condition responds best to a particular type of laser or light device. Our physicians are well trained in identifying the most appropriate laser or light treatment for your particular need. We aim to maximize results while minimizing unwanted side effects. We are committed to offering the most up-to-date laser and light-based technologies that have proven efficacy and safety. Conditions treated with laser include but are not limited to: brown lesions, red lesions, texture of the skin, pores, acne, acne scars, unwanted hair, fine lines and wrinkles. Halo precisely targets years of skin damage and the visible signs of aging. You will see improvements in overall tone and texture in addition to significant removal of discoloration, reduction in the appearance of fine lines, reduced pore size, skin reflectivity and glow. ProFractional Therapy treats a fraction of the skin, stimulating new collagen growth and improving your skin’s tone, texture, fine lines, deeper wrinkles, and the appearance of scars. Contour TRL allows you to customize treatment for each patient including a superficial NanoPeel(TM) with a shorter downtime, a medium depth MicroLaserPeel(TM) with a few days of downtime to a full field resurfacing treatment for deep perioral and periorbital rhytides. With the Contour TRL we can combine treatments with the ProFractional laser to improve skin conditions at much deeper levels as well as the single spot hand piece to eliminate visible growths on the skin. BBL stimulates cells to regenerate, and typically with the first treatment you will start to see smoother, more even and vibrant skin. The photothermal energy will eliminate fine vessels that cause redness and reduce unwanted melanin that produce age and sun spots. Your skin will feel smoother, pores will be less noticeable, and uneven pigmentation will fade. Forever Young BBL from Sciton, a revolutionary treatment that sends light energy deep into the skin to boost your body’s natural ability to fight aging. The result? Skin that is visibly younger looking, year after year! In a long-term clinical study, patients received regular BBL treatments over the course of a decade. At the end of the study, doctors judged the patients to appear 11 years younger than their actual age. In other words, they looked younger than when the study began. Kiss the hassle of shaving, painful waxing and tweezing goodbye! Using gentle, yet effective BBL energy to heat hair follicles, the revolutionary Forever Bare BBL treatment is as comfortable as a hot stone massage. The result is hair removal that’s more comfortable, safer and typically faster than other traditional treatments. Treat any area of the body with unwanted hair to reveal beautiful skin! Forever Bare BBL is a comfortable treatment with virtually no downtimes. During the treatment, pulsed light delivers photothermal energy to hair follicles. The rapid, short pulses of light or photothermal energy causes the hair follicle to stop producing hair without harming any surrounding tissue. Micro-needing is a method of introducing a controlled wound into the skin triggering a release of growth factors, new collagen & elastin. This process causes much less damage to the epidermis than dermal rolling or lasers and other ablative treatments, which helps to protect the new skin cell growth, providing for quicker healing and a much higher success rate. 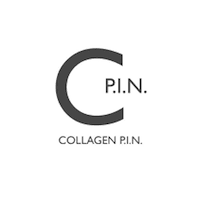 New collagen and elastin production results in younger, healthier, plumper, and firmer skin, effectively reducing the appearance of wrinkles, fine lines, and acne scars for an overall better tone and texture. TruSculpt iD is the latest body sculpting treatment solution from Cutera. truSculpt iD allows you to personalize your ideal body with a revolutionary non-surgical, body-sculpting treatment It's comfortable, reliable and is clinically proven to permanently eliminate fat cells in stubborn areas around your abdomen and decrease circumference in your flanks. With truSculpt iD, you can get the body definition you want, even in areas that have been resistant to diet and exercise. truSculpt iD uses innovative Monopolar radiofrequency technology to selectively target fat and therapeutically heat it - until fat cells are eliminated by passing through the body naturally. Clinical studies resulted in an average of 24% fat reduction. Procedures are typically described as feeling like a hot stone massage. During treatment, the temperature of your skin will rise but remain comfortable. The results are even and consistent. Post-procedure, the treatment area will be warm and flushed usually less than one hour. While you may experience mild sensitivity to the touch for a few days, you'll be able to immediately return to normal activities and exercise.